In the last decade the first person view phenomenon has taken the RC world by storm. It has brought an entirely new field to the hobby with new thrills and challenges. Despite this, FPV remains a hobby that requires a steep learning curve, significant research, a decent investment and a lot of trial and error. This book is a beginner’s guide to FPV piloting. It intends to bring the reader from zero knowledge of the subject to a position where they can safely conduct FPV flights - whether you're into quad racing, long range or tree dodging. It covers the broad range of necessary topics such as vehicle selection, control link, video link, component placement, ground station design, interference troubleshooting, and tips for successful flights. It provides photographs of commonly used equipment and schematics of typical setups – including a detailed case study on the author’s own configurations. 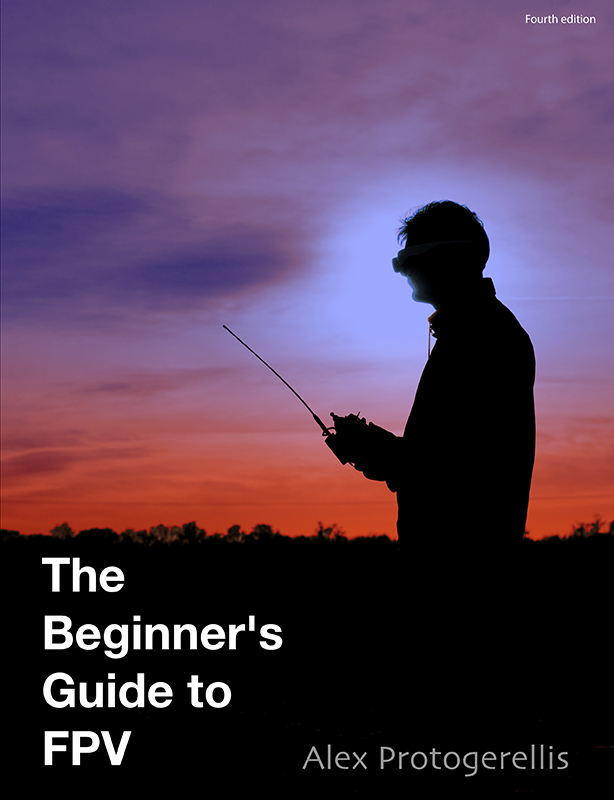 The must-have guide for any hobbyist new to the exciting world of FPV. The only source you'll ever need to read on FPV. The internet will always be your friend! Also available on iBooks, Nook, Amazon and more! Answer to common questions such as "how far will it go?!" and "what frequencies to pick for control and video?"